On the outskirts of Santa Cruz’s Westside is an industrial area housing businesses, restaurants and wineries. The area is quiet and tame compared to downtown and the wharf. 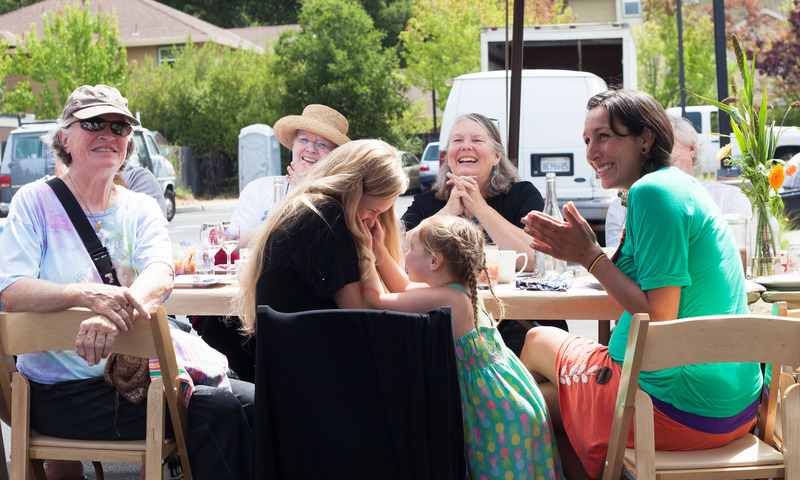 Photo by the Santa Cruz Community Farmers’ Markets. But each Sunday, the droll hum of cars passing along Highway 1 is punctuated by the sounds of children laughing. Article sponsored by Cafe Sparrow in Aptos – Call today for COuntry French Dining in Aptos! 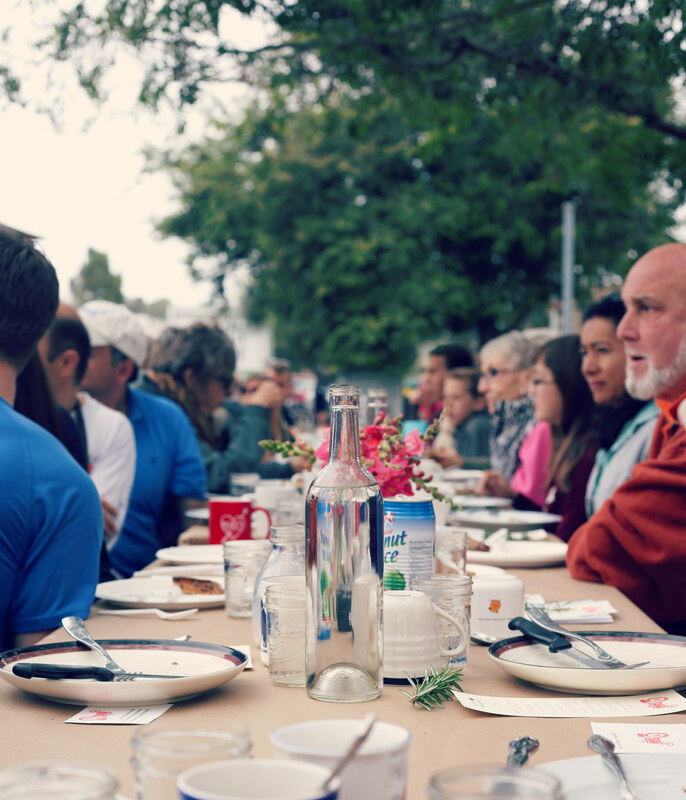 One of the signature events of the Westside is a regular pop-up breakfast at the market. Amid the chatter typical of a farmers market is a white table cloth setting complete with wine glasses and silverware. Guests sit down at long tables for a morning of dishes prepared by local chefs. Upcoming breakfasts – which have already sold out – feature chefs from La Posta in Seabright and Assembly. 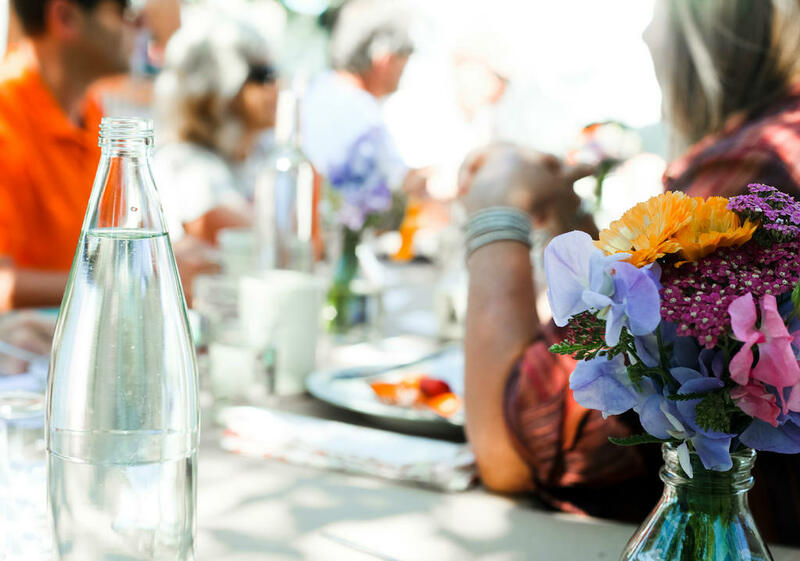 Menus change from event to event, depending on the chef’s style and ingredients available to them. That event speaks to the market’s space, said Nicole Zahm, education and events coordinator for Santa Cruz Community Farmers’ Markets. The organization oversees the year-round Westside market along with four other sites across the county. “It has this openness of sitting on the edge before that creepy coastal beach region and topography,” she said. In its 10th year, the market features 32 vendors with roughly 20 farming vendors. Other booths feature wines, massages and to-go service by Santa Cruz Mountain Brewery. The setting on the outskirts of Santa Cruz sets the market up for strong relationships with farmers and other vendors from the northern region of the county. Santa Cruz’s Westside is also a hub for food with bakeries, breweries, restaurants and wineries all within biking distance. While other markets under their umbrella can sometimes be in tighter spaces, the Westside market lets shoppers sprawl out with their shopping. The market recently moved to a new location near the Wrigley Building on Western Driver and Mission Street. It’s not uncommon to see spandex-clad cyclists stop by on their way to and from a ride. While the downtown farmers market has an energy that draws a younger demographic, the Westside has a laid-back vibe that’s tuned into low-key residents. But one of the biggest draws is the parking. Among the markets under the organization’s umbrella, the Westside is one of the easiest to find parking. Much like the rest of the county, the market is subject to changing weather. Zahm calls it a more temperate microclimate because of its open area, compared to downtown Santa Cruz where temperatures can rise because it’s sheltered from the wind. 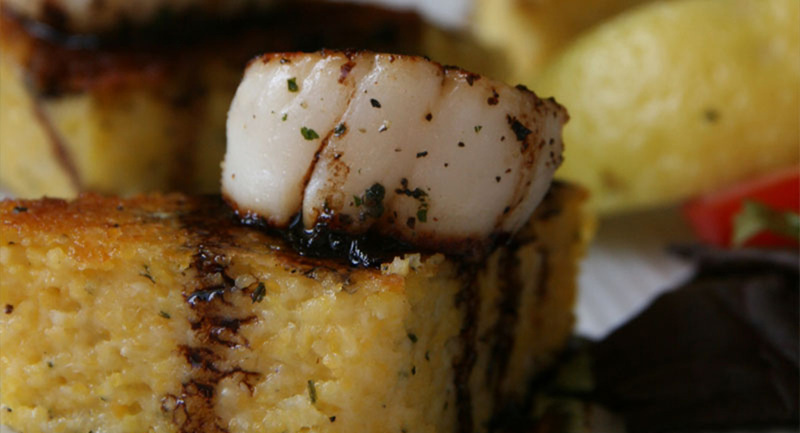 Did that article leave you hungry for fine dining with fresh ingredients? Cafe Sparrow brings traditional french stocks and sauces with a California flair to Aptos.